The pretext for bombing and shelling Gaza was the death of three Israeli teenagers allegedly killed by Hamas. ‘Operation Protective Edge (OPE) directed against Gaza is reminiscent of the infamous 2001 Dagan Plan entitled “Operation Justified Vengeance” in which the deaths of innocent Israeli civilians had been envisaged and foreseen by IDF military planners. The deaths are then used to muster the support of the Israeli public as well as provide a justification for a “legitimate” counter-terrorism operation in the eyes of the international community directed against the Palestinian occupied territories. ‘Operation Protective Edge (OPE) directed against Gaza was planned well in advance of the kidnapping and murder of the three Israeli teenagers. Prime Minister Netanyahu has called up 40,000 reservists. In the wake of the shelling and bombing raids, a major ground operation scenario is envisaged. Were the three boys killed by Hamas? Israeli press reports intimate that the three teenagers could have been executed by the Al Qaeda affiliated jihadist entity the Islamic State of Iraq and the Levant (ISIL) which just so happens to be supported “covertly” as well “overtly” by the State of Israel. A new Palestinian jihadist group pledging allegiance to the Islamic State (formerly known as ISIL) has claimed responsibility for the killing of three Israeli teenagers last month in the West Bank, … as well as other recent deadly attacks against Israeli soldiers and civilians….. The ISIL (renamed the Islamic State) (see image) constitutes the main Al Qaeda rebel fighting force in Syria directed against the government of Bashar Al Assad. 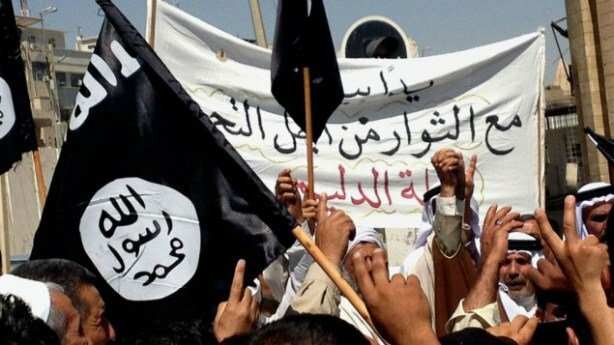 More recently, ISIL brigades have entered Iraq, confronting government forces. While ISIL is an Al Qaeda affiliated entity funded by Saudi Arabia and Qatar, retribution by Israel for the deaths of the teenagers was directed against Gaza rather than Saudi Arabia and the Gulf States. The supportive role of the US and Israel to the Al Qaeda affiliated entity is not limited to the realm of covert operations. The Israeli military (IDF) is supporting the jihadist entity out of the occupied Golan Heights. Moreover, amply documented, there are Western and well Israeli Special Forces within ISIL rebel ranks. “According to the Israeli Channel 1 television, ‘security sources’ informed of a new missile system named ‘Mitar’, established in Golan for giving backup coverage to anti-Syria militant groups. An IDF military hospital in the occupied Golan Heights was established to treat wounded Al Qaeda rebels. 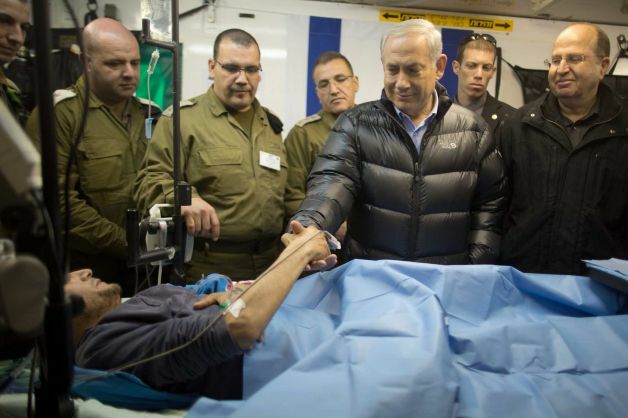 In February, The Jerusalem Post reported that Prime Minister Binyamin Netanyahu’s visited the IDF field hospital in the occupied Golan heights, which was set up in support of the jihadist rebels operating in Syria. The hospital was set up to treat wounded Al Qaeda rebels. “The good”, according to Netanyahu “is Israel”, which in a bitter irony wholeheartedly supports the Al Qaeda “freedom fighters” in Syria; “the bad” refers to Iran which supports Bashar Al Assad. Who killed the three Israeli teenagers? Ironically, the same jihadist group which is reported to have kidnapped and killed the three teenagers is supported by Israel’s IDF out of the occupied Golan Heights.